For my younger sister’s baby shower I did some DIY projects that came out super cute. First I made a really simple diaper cake. This was my first one and I used the role and tie with string method. 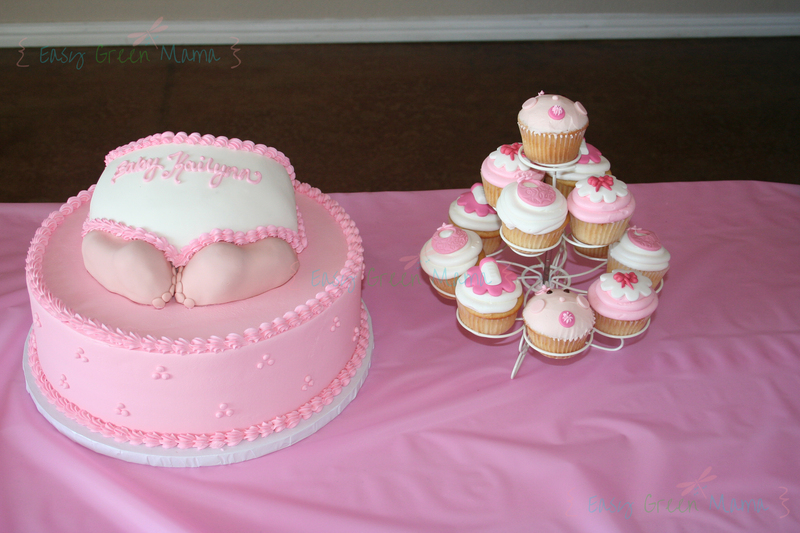 I decorated it simple with pink ribbons and a cute bear on top. 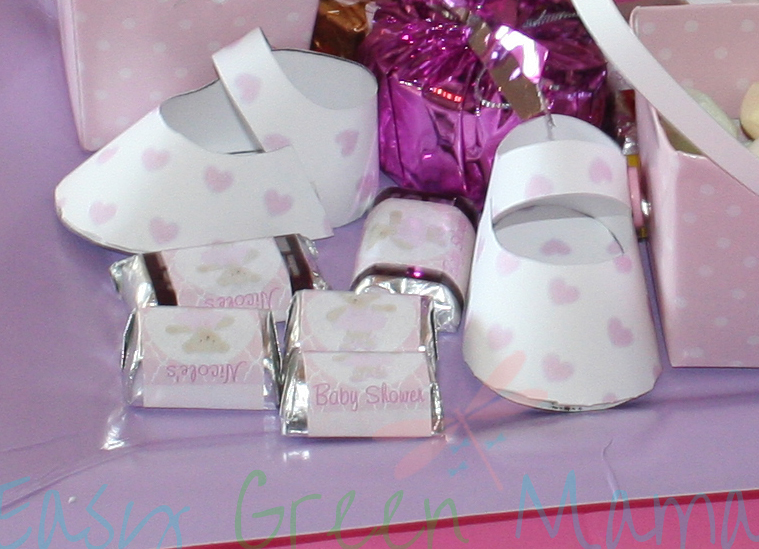 Next, I made baby jane shoes from printed on patterned card stock paper. I glued a button on each shoe too. This was a bit time consuming, but they came out so cute I didn’t care. We put mints in them. When the baby shower was over I I gave them to my younger cousins who wanted them to take home for their dolls! Here’s the template I used. 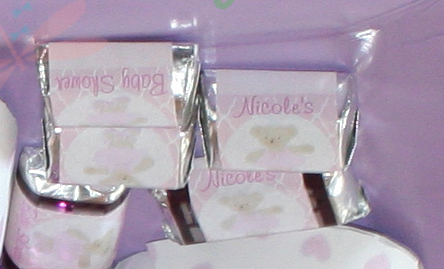 I also made candy wrappers by designing a label on Avery mailing labels. They fit perfect around Hershey nuggets candy. Here’s the cake we had made by my sister’s friend who makes cakes for a living. The cake came out beautiful and tasted great too! We put the cupcakes on my cupcake stand. I use this stand at every party. Love it! I don’t know how your family throws baby showers, but mine always provides lots of food and a nice spread! We went all out for my sister. We had nachos, sausage balls, 3 kinds of sandwiches, veggie and fruit trays! 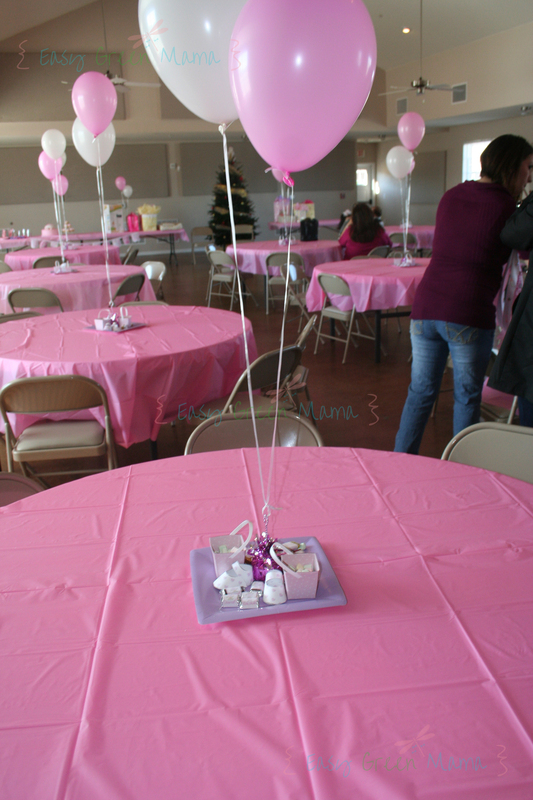 I love decorating for baby showers! Can’t wait to decorate my other younger sister’s party in July, and then my sister in-law’s later this year! Lucky Me! Adorable! 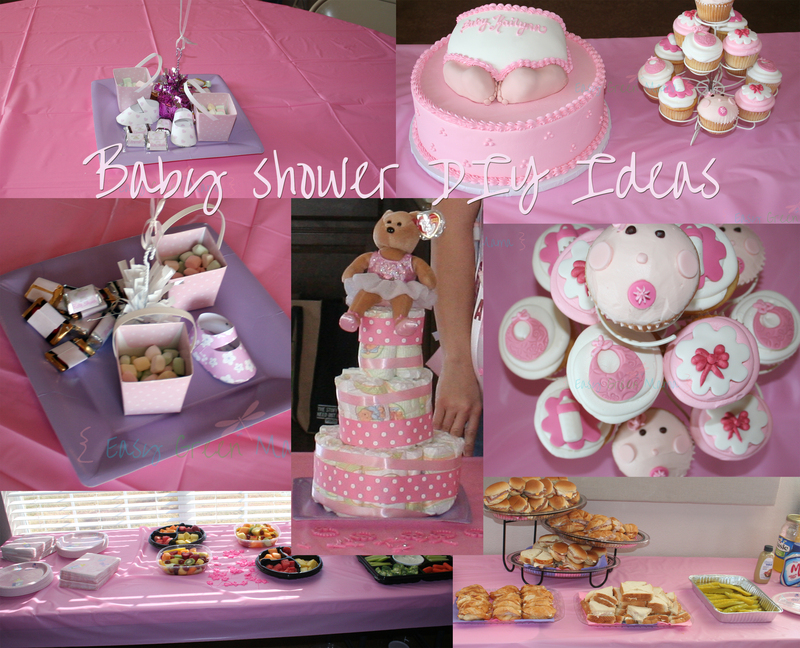 Daughter is expecting in Dec so I’ll be back for shower ideas! This shower looks amazing! You did such a good job! I love love love that diaper cake with the bear on top. My daughter’s first birthday party is coming, so I’ve been looking for some more DIYs! Thanks for the awesome post. What cute ideas and you can do them yourself!! 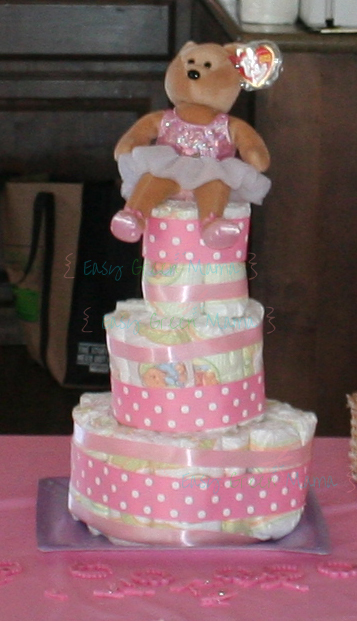 Love the diaper cake – practical and a beautiful decoration – great way to repurpose after the party. 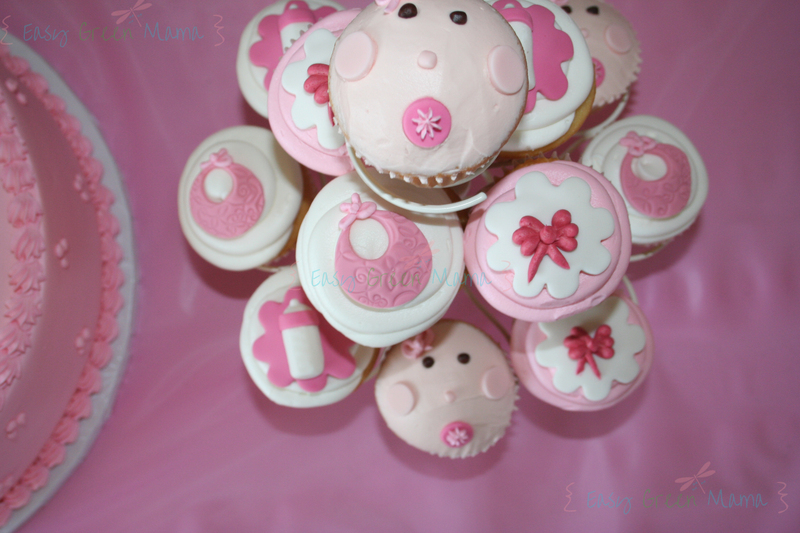 this is an exceptional baby shower guide and DIY tutorial. Great Job! my best friends shower is coming up in april, i need to keep these things in mind!